Bring long socks to protect your shins! We pride ourselves on quality programming that is based on data analysis and sound programming principles. 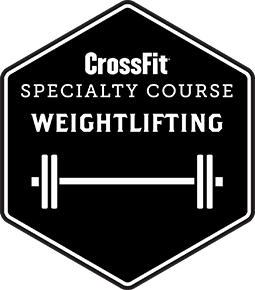 Our goal is to program consistently with what is taught on the CrossFit Level 1 and Level 2 certificate courses, i.e, be an excellent example of crossfit.com programming. We are chasing broad and inclusive fitness by constantly varying the stimulus across load, modality, rep scheme, time domain etc. Below is a snapshot of the graphs that we use to analyse our programming. There is nothing random about what we do. Come and celebrate the year with us!! Tickets are now on sale for our end of year Awards Night and Christmas party. Given that we now have a good number of clients who don't drink alcohol, we will not be adding this to the ticket price this year. Alcohol will be on sale at the bar. Non-alcoholic drinks will be provided. We will also have plenty of Finger Food served. We have exclusive use of the beer garden at the Brunswick Hotel. We will deliver our Year in Review, acknowledge the notable performances of our Peers, and have some fun! Tickets are $20. Partners welcome!